A division of India's Leading Manufacturer and Exporter of Herbal and Henna Products. We have wide variety of Henna Products (like natural henna(mehendi), red henna, black henna, brown henna, dark brown henna, light brown, copper brown henna, special brown henna, golden brown henna,chestnut henna, burgandy henna, wine red henna, purple henna, blonde henna, lemon yellow henna, sunset henna, mahogany henna, auburn henna, orange henna, other henna hair care products,body art henna powder, tattoos etc..), cosmetics, herbal products and natural human hair, wigs and more..
MATHA EXPORTS INTERNATIONAL (An ISO 9001:2008 Certified Company) is manufacturer and exporter of a wide variety of Henna products,henna based hair colours,100% natural hair colours, cosmetics, herbal products,indigo powder, natural human hair etc... The products find an overwhelming response by the customers in India and abroad. The company has an efficient and enthusiastic business team ready to meet the consumer requirements across the globe. Our commitment to provide total customer satisfaction has earned us a name worldwide including Japan, Korea, Singapore,Taiwan, Australia, France,KSA,UAE,UK & USA, being some of the prominent destinations. Owing to our commitment towards quality and excellence, we have earned accolades from our worldwide clients. The unmatched quality and timely deliveries have earned us a wide base of allegiant clients. Our success and position in the market can be attributed to our unidirectional focus on providing a wide, exquisite and premium range of products maintaining high quality standards. In this big league of manufacturers and exporters of henna products including henna hair colors, henna hair dyes, herbal henna mehndi and natural henna mehndi. Matha Exports International has earned an excellent reputation with its consistent efforts on R & D and Planning front. Our growth chart has shown a continuous upward swing and we have carved a niche for ourselves in the market over the years. Herbal Henna Powder made from pure herbal leaves and rare Indian herbs used for hair conditioning and treatments. Regular use of herbal henna naturally conditions hair and gives strength and shine to the hair. Medicinal value of Henna and other ingredients take care of all scalp disorders. It acts as hair vitalizer and helps hair growth and health. Henna powder in its pure and natural form is a bright or deep green, khaki or brown. The color produced by pure natural henna ranges from orange to red, to black cherry and near black color. Henna powder quality produced by our company is determined by its color, purity, its dyeing property & fineness. Our herbal henna is the most common and user friendly way to color hair. Henna has been adorning the hands and feet of brides and holds a significant place in the traditional and cultural history of India. 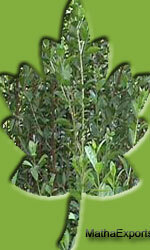 Henna is an open shrub with heavily scented, small cream flowers and blue black fruit. The word Henna has its origin in the Arabic word Al-Henna. The earliest evidence of the cosmetic use of henna is from ancient Egypt. Henna very popular for more than 5000 years now. The leaves, flowers and the twigs of the plant are ground into fine powder containing natural dying properties called tannings; the powder is then mixed with hot water. As a healing plant, henna conditions, cleanses, colors and cools the skin. Henna designs are used to celebrate any special occasion - an initiation, birth of an baby and remains a sacred practice intended not just to beautify the body but to invite grace and good fortune into one's home, one's marriage, and one's family is a kind of talisman, a blessing upon the skin. The usage of henna is not only restricted to body painting, it has various other features and applications.